Composer Susan Alexjander’s work is about the interconnections between light and sound, science, art, geometry and our universal stories. She’s a presenter, musician, and perpetual student whose CDs and film soundtracks have achieved international acclaim in galleries, publications, and performances including collaborations at the National Academy of Science in Washington, D.C., the Chemical Heritage Foundation in Philadelphia and the MOMA in San Francisco. Her music has been performed in New York City, Oslo, Heidelberg, Vienna, Budapest and London, and here at home in Portland. 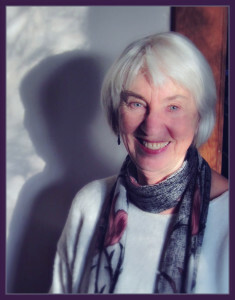 She teaches privately in Portland and continues to explore the harmonics of nature, our bodies and the cosmos. The burning question is always – how does everything communicate through resonance?